LHE/KUL - once a week nonstop fights using an A 310-300. LHE/DXB - capacity reduced from daily B 772ERs to 5 weekly A 310s + 2 weekly B 772ERs. LHE/BCN - frequencies increased from 1 to 2 weekly flights using a B 772ER. KHI/DAC - capacity reduced to 5 weekly A 310s. 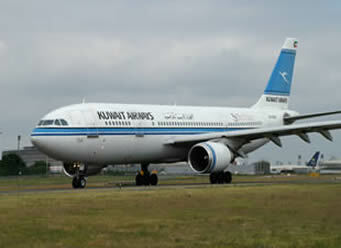 KHI/DXB - double daily nonstop flights to reinstated using an A 310-300 for all services. ISB/BCN - frequencies increased from 1 to 2 weekly flights using a B 772ER. SKT/JED - capacity increased from one weekly B 773ER to one weekly B 743. SKT/KWI - capacity increased from 2 weekly B 737-300s to 2 weekly A 310-300s. It is very commendable to see PIA take the initiative to launch flights to the Middle East from a secondary airport like Sialkot which shall please the local business community as the Sialkot Chamber of Commerce had invested US$ 101 million to rebuild the airport to provide better services to interested airlines. However, what is extremely disheartening to see is how PIA has planned out its return to ORD-Chicago. To begin with, there is no need what so ever for PIA to fly to ORD because these 2 flights should be instead flown to JFK-New York where the demand and market size is 4 times larger and PIA already has a reputation in that market segment where as in ORD, it has to rebuild it for which creative marketing and sales strategies are required of which PIA has no clue on how to formulate as was evident with their previous disastrous Chicago, Houston and Washington DC experiments! In addition, the biggest market to ORD is from KHI and not Northern Pakistan so why would any 'smart passenger' want to fly PIA once a week with 2 stops en-route to ORD when they can do in a more convenient manner flying Etihad on a daily basis via AUH. What will PIA do if Emirates launches its own daily DXB-ORD nonstop flights using a B 77W from this October onwards and maybe next year Qatar Airways as well from DOH using the same aircraft type. These two airlines are the primary reason why PIA has seen its market share evaporate in Europe and USA and the same fate will fall upon itself at ORD in a matter of 2 years! Lastly, based upon my own personal experience in 2004 flying KWI-AMS-ORD on Kuwait Airways, even for an 'air side transit' at any EU airport, Pakistani passport holders not having a U.S. green card require a transit visa for EU even if its a same plane service. If this rule still exists, then it will be a huge setback for PIA to attract normal Pakistani citizens holding only visit visas for USA to fly them versus another airline. To summarize, PIA must first consolidate its presence at JFK before further expanding its USA operations. If someone thinks they will do fine because they got 5th freedom rights on the Barcelona-Chicago route which sees them having a monopoly, then they should look at how badly PIA marketed and sold its Manchester-USA-Manchester flights when it had such traffic rights for JFK, Chicago and Houston few years ago! CAN - capacity increased from 5 weekly A 332s to 5 weekly B 773ERs. BEY - frequencies increased from double to triple daily from June 16th. COK - frequencies increased from daily to 9 weekly nonstop flights using an A 321 from Sept 1st. LXR - frequencies increased from 4 weekly to daily nonstop flights using an A 320 from Sept 1st. Is there that much demand for QR to send a 335 seater B 77W to CAN? The only reason one can think of is because of the higher cargo payload that the B 77W can carry in its belly versus an A 333. Royal Jordanian has officially announced that it will be integrating into its fleet 2 used Airbus A 330-200s from April 2010 which shall be used to replace Airbus A 310-300 operated routes to London Heathrow and Far East Asia. These aircraft are those of the now defunct carrier Air Comet. In addition, RJ too confirmed that it shall be re launching flights to Kuala Lumpur which will be flown via Bangkok using an A 332. An excellent move by RJ to fast track its replacement of its aging A 310-300 fleet with more efficient aircraft such as the A 332. This will however be a temporary measure until the B 787-800s arrive from 2013 onwards. RJ too will be undertaking a massive refurbishment of the interior of its flagship A 340-200 fleet with new business class seats and an upgrade to its in flight entertainment in economy and business class. ATL/LOS - frequencies reduced from daily to 6 weekly nonstop flights using a B 772ER. JFK/BCN - capacity increased from daily B 763ER to daily B 764ER. JFK/BOG - frequencies increased from 5 weekly to daily nonstop flights using a B 757. JFK/DUB - capacity increased from daily B 763ER to daily B 764ER. JFK/KBP - capacity reduced from 5 weekly B 764ERs to 5 weekly B 763ERs. SFO/NRT - capacity reduced from daily A 332 to daily B 763ER. NRT/PVG - capacity increased from daily A 332 to daily B 744. NRT/SIN - frequencies reduced from daily to 6 weekly nonstop flights using a A 332. NRT/PEK - capacity reduced from daily A 332 to daily B 763ER. United Airlines has officially confirmed that it has placed a mega order with Boeing for 75 Boeing 787s, thus increasing its order by 50 air frames. Previously, UAL has placed an order for 25 B 787s + 50 options but now these 50 options have all been firmed up. The first batch of 25 B 787s will all be of the -800 variant designed to replace its entire Boeing 767-300ER fleet. The remaining aircraft are expected to be a combination of the -800 and larger -900 variants. Kuwait Airways has officially confirmed that it shall be increasing flights to CGP-Chittagong, Bangladesh from June 14th. Currently, the carrier operates two weekly nonstop flights using Airbus A 300-600R (AB6), however these shall be increased to 3 weekly nonstop flights from mid June onwards as KU looks to consolidate its monopolistic position in this key Bangladeshi market segment. ACC - 4 weekly flights using an A 333. ABV - 6 weekly flights using an A 333. LFW - 2 weekly flights using an A 333. OUA - 2 weekly flights using an A 333. COO - 2 weekly flights using an A 333. Emirates Chairman has officially announced that the Dubai based carrier will be ordering 10 wide bodied aircraft later on this year and is engaged in final talks with Boeing and Airbus for the Boeing 777-300ER and Airbus 330 line of aircraft. It is expected that the order will be formally announced at one of the major summer air shows in Europe. Industry insiders expect the order to go with Boeing for 10 B 77Ws which has been a favorite choice of aircraft for EK on a wide variety of its routes and which will enable them to further expand in major long haul markets worldwide. Qantas of Australia has officially announced that it will be undergoing a major fleet re configuration with regards to its A 380s and Boeing 747-400s in particular. On the priority list, is the abolishment of the entire first class cabin from 9 B 744s and 8 yet to be delivered A 380s. These first class seats shall be replaced with an expanded premium economy cabin which will help increase the on board capacity on offer as well as allow the carrier to meet current market trends which sees minimal demand for first class seats on board a majority of its routes. The routes that will continue to see first class from 2011 onwards shall be Singapore, London and Los Angeles mainly. With this re configuration, an extra 52 premium economy seats will be added on board its B 744s. Qantas of Australia has officially confirmed that it will be increasing capacity on the Sydney-Tokyo route in a major manner from July 5th. Currently, it operates the route nonstop on a daily basis using an A 330-300 however this shall be increased to 6 times per week using a B 747-400 (2 class configuration J/Y) along with an A 333 once a week. 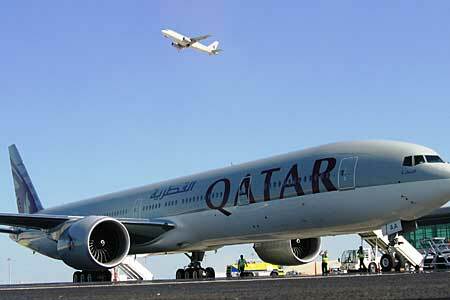 To summarize, capacity is being increased by 1250 seats per week on offer by QF. YOW/LHR - capacity increased from daily B 763ER to daily A 333 from June 1st till Sept 4th. YYZ/CPH - frequencies reduced from daily to 5 weekly nonstop flights operated a B 763ER. YYZ/DUB - frequencies reduced from daily to 6 weekly nonstop flights using a B 763ER. YYZ/MAD - frequencies reduced from daily to 5 weekly nonstop flights using a B 763ER. YYZ/ZRH - capacity reduced from daily A 333 to daily B 763ER. Malaysia Airlines has officially confirmed that it shall be increasing its flights to MLE-Male, Maldives from June 15th onwards citing high demand from SE Asia for the move. All flights to MLE will be flown nonstop from its KUL base but out of the daily flights, four of those shall be flown back to KUL via CMB-Colombo. The 3 weekly terminator flights shall be operated by a Boeing 737-800 where as the flights that return via CMB are being flown using the larger Airbus A 330-300. Aerolineas Argentina has officially announced that it is in talks with leasing companies to arrange for up to 15 Boeing 787s for delivery starting from 2011 as the carrier looks to start gradually replacing its aging A 340-200 fleet with modern wide bodied aircraft. In addition, two A 340-300s are being seriously looked at to be integrated into the current fleet in order to launch new nonstop flights to Mexico City as well as re launch nonstop flights to New York JFK and London.